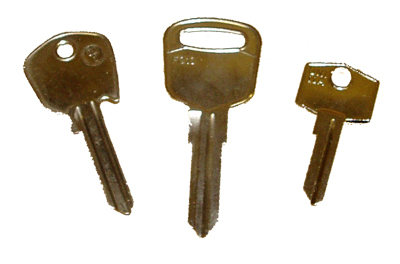 A key for Aston Martin cars manufactured between 1950 and 1995, except those with a laser cut key. Models include: DBS, V8 saloon, V8 Volante, V8 Vantage, and Early V8 Lagondas. The key number is likely to be in one of the following formats: Prefix FP, BC, FT, LF, CB, FT, BC, followed by 3 digits (e.g. FP148) Prefix FS followed by 2 or 3 digits (e.g. FS 324) If you have your key number, please fill in the details on the checkout page. PLEASE NOTE: THIS ITEM DOES NOT INCLUDE TRANSPONDER KEYS. 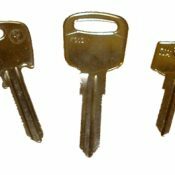 If you think your key may have a computer chip in the head to deactivate an immobiliser, please contact us. SKU: CCK-AM1. Category: Aston Martin. A laser key cut to key number for Aston Martin cars manufactured before 1995. Models include: Later V8 Lagondas, Virage, DB7, amongst others. Please fill in your key number on the checkout page. These keys cannot be cut from a photo. If you do not have a number, we can copy the key if you are able to send it to us by post.